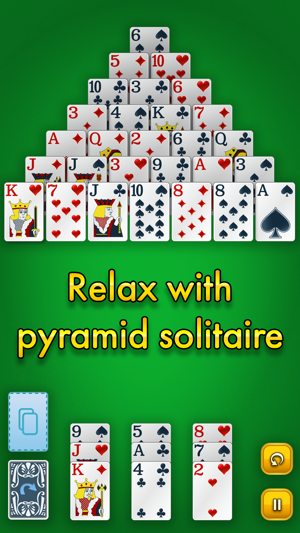 Relax with Pyramid Solitaire Classic, our meticulously designed free solitaire game. We've taken this special version of solitaire and infused it with elegance. Easy controls make our card game a pleasure to play. Using a standard deck, pair cards whose value matches up to 13 and reveal other cards in the pyramid. 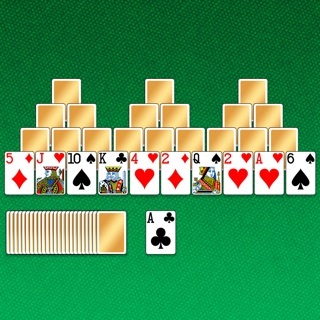 Remove all the cards from the board to win. 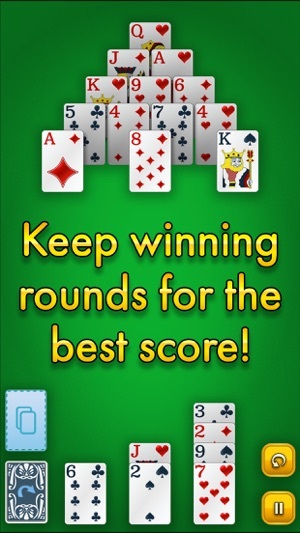 Play and win round after round to build up your points, and use our special "Score Build Mode" to reach new high scores. There's an unobtrusive hint system and the temporary card slot is designed to aide you as you sit back and enjoy. Our ethos for creating this game was simple. 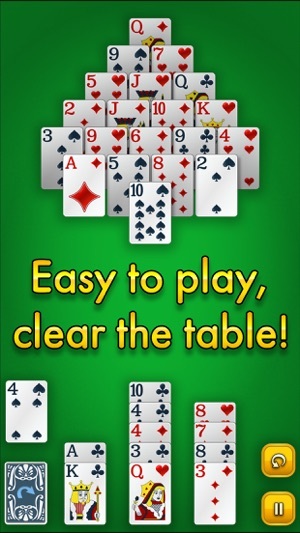 First we downloaded and studied many versions of solitaire. It was important to us to be inspired and learn from the best competing apps. Afterwards, we worked through all the feedback from the fans of our other games. Finally, we built on our deluxe, well loved Pyramid Solitaire - Ancient Egypt. We took a step beyond the kingdom of the pharaohs to make a game that plays with exceptional smoothness and charm. 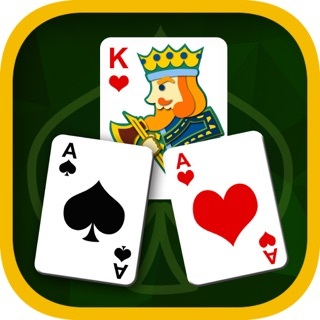 * A relaxing, and engaging twist on popular solitaire games but with its own uniqueness compared to tri peaks, Klondike, spider and classic solitaire. 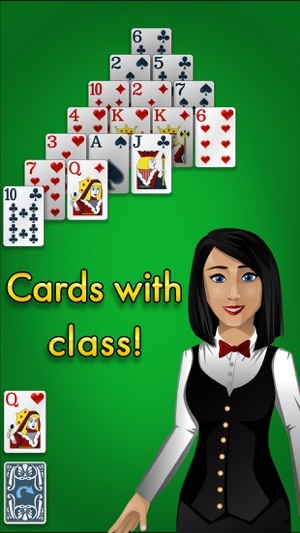 * Multiple ways to score including all cards cleared bonus, time bonuses and round complete bonuses. * Beautiful animations and a theme with a rich atmosphere. * Intuitive controls and velvety card play. * A universal app designed to work brilliantly on both mobile phones and tablet devices. 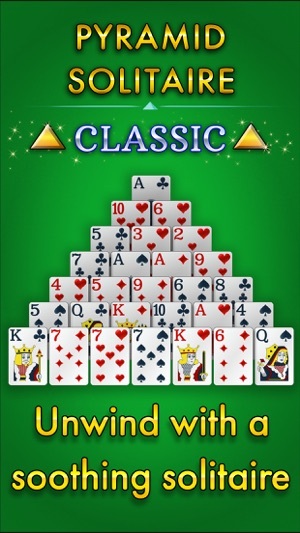 We've been crafting relaxing games for years, and we're happy to offer you Pyramid Solitaire Classic. Thank you for downloading. We've fixed the game so it works perfectly on the new iPhone XR. I love this game but I do advise buying it if you can just to stop all the advertisements which do spoil it a bit. I find this game very enjoyable as it doesn’t require a great deal of concentration which I like. A very addictive game. Am thoroughly enjoying it - and it's free! Go on have a go- thoroughly recommended.